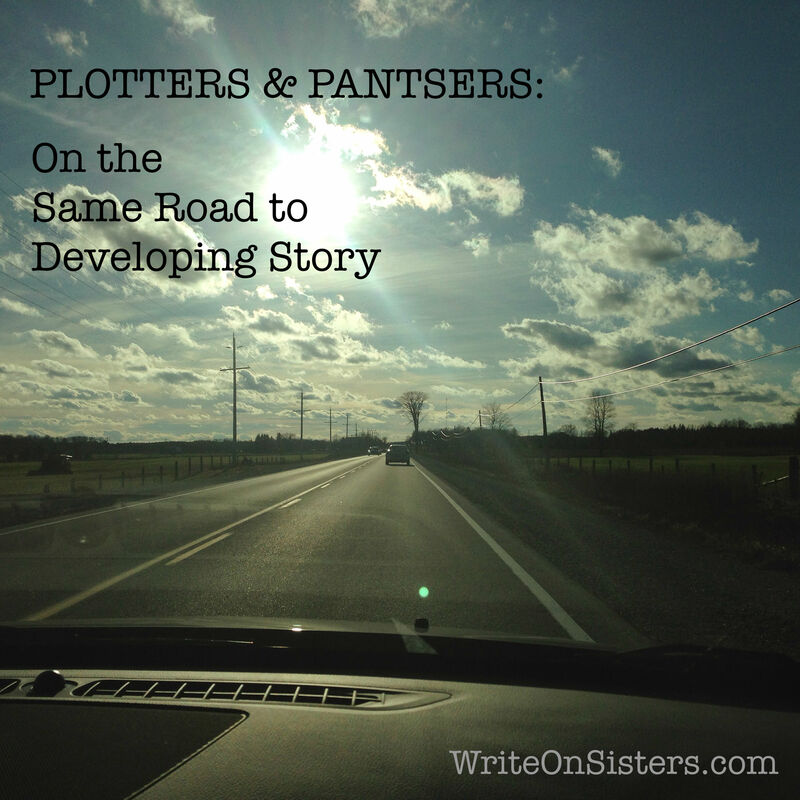 Plotters vs Pantsers: Are We Really That Different? Ever since I learned the terms “pantser and plotter”, I’ve identified as a plotter (someone who outlines a story before writing a manuscript). To me, sitting down to write a whole book without an outline (i.e. the pantser method) is impossible. And now it’s time for a confession: pantsers make me feel stupid. Why can’t I just sit down at my laptop and start writing a novel? Why do I have to plan first? How is it possible that people can construct complicated long-form narratives without a story map? Is it because they’re geniuses and I am not? Should I just give up now? So because pantsers begin by writing a manuscript, I used to think they didn’t do any story development, that the story just spilled from their magic brains fully formed. How I envied that! But that’s not exactly how it works. Every writer goes through a process of story development. We all head out into the unknown and follow that unmarked road to discover where it leads. It’s just that some record that journey in full sentences and paragraphs (first draft), others take point form notes (beat sheets), some map the route (outline) and backtrack to explore (revise), and at one point or another we all stare out the window daydreaming. Each writer is developing the story, but using different methods and calling the process different things. Pantsers call this the first draft, and the reason this made me feel stupid is because as a plotter, I picture a first draft as a readable manuscript that doesn’t need too much story editing. How do pantsers achieve that without an outline or ten?! Well, my pantser friends clarified that they don’t — their first drafts are often a mess of ideas spit onto the page that they then build, revise and edit into a novel via many subsequent drafts. See, it all comes down to terminology: a pantser’s first draft is different than a plotter’s first draft which is different than a plantser’s first draft. Though this might be obvious to some people, for others, especially those just starting out, hearing writers use the same term to describe disparate stages of writing can be confusing and daunting. I know it was for me. And if you’re a plotter, you might beat yourself up for not “really writing.” Pantsers were always telling me to “just start writing” because they didn’t understand that I was already writing, that my outline serves the same purpose as their first draft, that we’re both getting the story out of our heads but just in different formats. And sometimes the formats aren’t even different! For example, I wrote a post last year (A Slow Writer’s Scheme to Win NaNoWriMo) where I confessed that I was not writing a fast first draft for NaNo, I was instead writing a detailed outline, and that started a conversation with some writer friends who said that my detailed outline sounded exactly like their first drafts. We were at the same stage of story development, but called it different things. There’s a lot of chatter between novelists about whether it’s better to be a plotter or a pantser. A quick Google search reveals that the debate is endless! But I don’t think we’re all that different. Both camps develop, build, revise and edit the story, we just use different methods to execute and different terminology to define those stages. This is all to say that the Plotter vs Pantser divide is silly and possibly harmful to a writer’s psyche. After all, I didn’t participate in NaNo for the longest time because I don’t “fast draft” first drafts. That’s pantser territory, right? To me, NaNoWriMo didn’t seem like a place for plotters and slow writers. But it can be if you change the terminology. Words are words, after all. If you’re a plotter who’s not at the first draft stage yet, count words for outlines or story development notes or whatever. Use the challenge to motivate yourself to write (that’s ultimately what it’s for) and do it. As for me, I am participating with another “detailed outline” this year. Here’s my NaNo profile. Hopefully I’ll see you there! What do you think about the pantser vs plotter thing? Are we more alike than different? Wel-l-l-l. I don’t know what you would call me. I develop scenes–characters in the scene, their intentions, action, setting, dialogue, etc. Don’t write them, just list the elements in the scene. Before I start writing, I have a notebook full of these scenes in the rough order they will appear. I also do character profiles which sometimes suggest ideas for more scenes. When I actually do a draft, I may add scenes or drop them–same as I revise. I really like this approach because I just never have to worry about writer’s block. Or I haven’t yet. This is my second year doing NaNo, and I spend a ton of time in the Beyond 50k forum, where people reach word counts of up to 3,000,000 (no, that’s not a typo). And we’re split. I’m a loose plotter, in that I have a bunch of things I know I want to happen, and I definitely did character sketches and whatnot, but please don’t ask me for more than a 10-word summary of what I want to happen, and I totally let my characters tell me how to get there. But I know another woman who did 700k by exclusively pantsing. I know that won’t work for me, but we all get there our own way. The point is that we all end up at the same destination. I’m a pantser, Heather. After spending 40 years writing science papers, plotting out a book is the last thing I want to do. I enjoy seeing where my mind takes me. I do envy the plotters in that they KNOW where the story is going and I never do, except for some vague ideas. Also, without an outline of the plot, you have to go back and find loose ends, things that you’ve dropped, and sometimes places where you need to expand. One of my friends, who is a master plotter, asked me when I finished my first book if I’d learned anything. I know she wanted me to say I’d become a plotter, but I smiled and said NO! As long as you’re happy with your methods and they work for you, that’s all that matters! Happy writing! This is brilliant. Especially the idea that all of the chatter back and forth is harmful. Nothing is worse for my writer psyche than the idea that I’m some how defective and disorganized because I don’t outline or write detailed character sheets. Or even worse, I simply haven’t learned how to outline and use it properly. I actually write a great outline. I have to write ‘in story’ because that’s where my characters are. Outlines give me writers block. There’s no magic and too much pressure. But I draft fast and long. I know where I’m going and I always get there even if the itinerary changes. Discussing the creative process is such a personal thing, and I’m just beginning to get past the judgment (from others and myself) now. Interestingly, my novel writing critique partners have been mainly pantsers! I’m so glad that you and your CPs were able to help each other become better writers because of and not despite your different methods. Thanks so much for the comment, Katherine. Happy writing!